This past week was our Self Defense workshop! 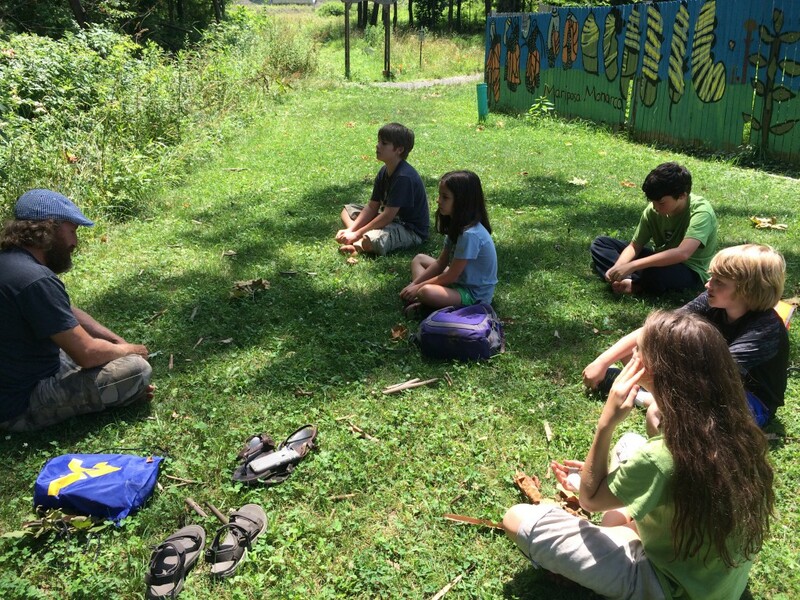 John Mouser taught us how to defend ourselves effectively and safely in different situations. So far, we have learned tricks for escaping from wrist grabs, body grabs, and choke holds. We also learned how to distract the attacker with a well-placed hit before using the tricks to escape and run away. We practiced these by “attacking” and chasing each other and by doing obstacle courses. 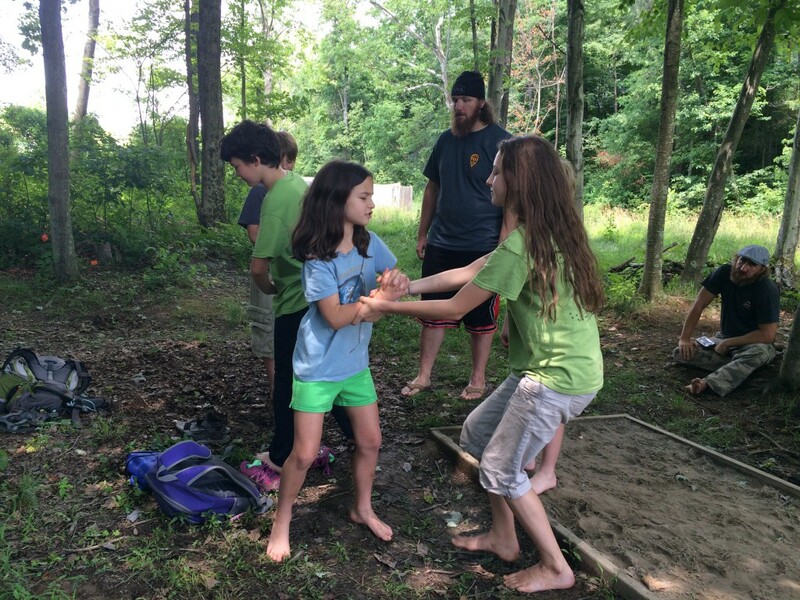 Yesterday, for our obstacle course, we crawled across a beam, crawled under another beam, crawled across a beam over a stream, ran along a path, swung across the stream on a rope swing, and walked across a final beam. Between obstacles, people would “attack” the runner with one of the holds, and he/she would have to escape. 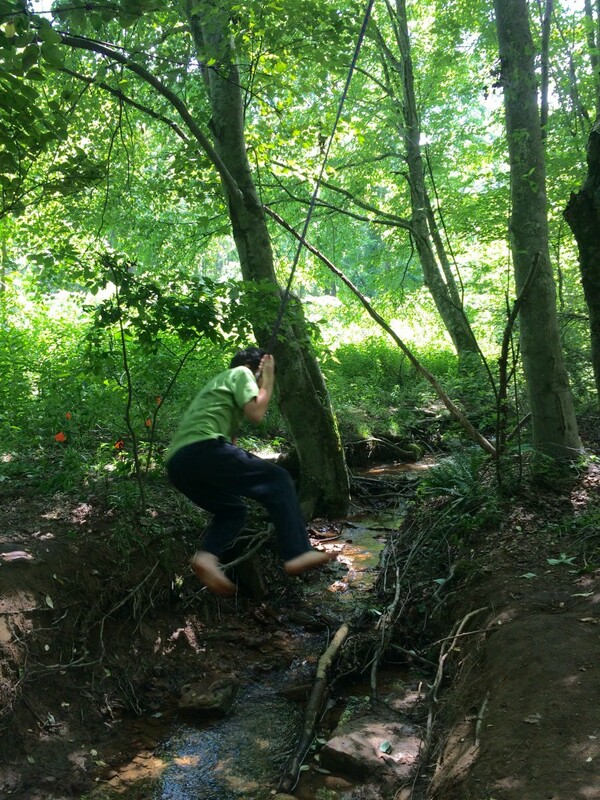 This week, we had a ton of fun in the woods, swinging, running, escaping, and leaping across creeks. But, even more importantly, we learned how to defend ourselves!